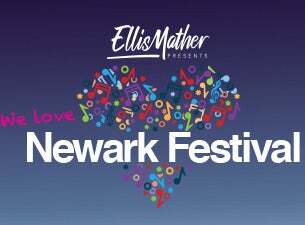 Ellis Mather presents Newark Festival is a celebration of music, family, food and fun. Held at Newark Riverside, it's spread across three fun-packed days from 14 – 16 June 2019. Festival organisers have announced an exciting new pop and dance night for the opening of the weekend event. So this year Friday Night is Party Night! Sigma will be bringing a full DJ set as headliner for the night, along with a performance from Becky Hill and an exciting DJ will also kick off the night. The iconic rock band Razorlight will headline the Saturday. The band will be performing all their hits and will be joined by very special guests Lightning Seeds and The Feeling. Sunday at Ellis Mather presents Newark Festival is a family fun day.